Hayward Appraisers is uniquely qualified to appraise equestrian properties of all sizes. Our experience includes equestrian properties that are private use as well as properties that are income producing. 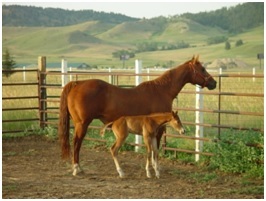 In most ways, horse properties are very similar to any other residential property as many of the same theories and techniques apply in the appraisal process. Often time’s buyers and sellers care more about the number of horses that can legally reside on the premises than anything else about the property. Our staff of appraisers includes an actual horse owner and lifelong equestrian which when combined with our vast appraisal experience and knowledge of horses allows us to specialize in the valuation of equestrian properties. In addition, we provide appraisals for agricultural production, recreational use properties, and we have the experience to appraise farm and ranch properties as well. With the ever changing landscape of the greater Hayward County area as well as its continued growth, the line between urban, suburban and rural property is continually changing. This change is also reflected in the per acre value of your farm or ranch. Whether you’re selling, buying, refinancing, or going through estate planning, let our professional hands on experience and knowledge assist you in the process of determining your property’s value.